10Pcs 36T GT2 Aluminum Timing Drive Pulley For DIY 3D Printer by SPS_IN at MDA-MA. MPN: 101. Hurry! Limited time offer. Offer valid only while supplies last. 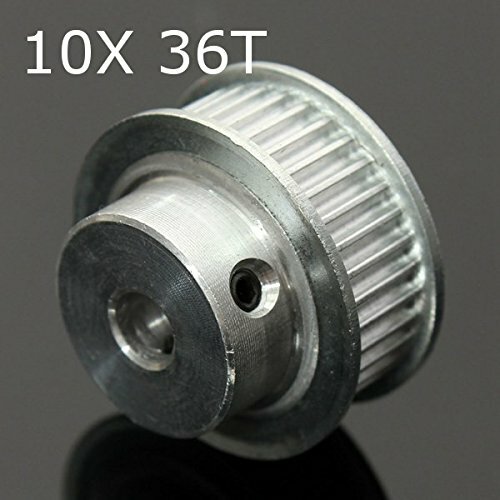 10Pcs 36T GT2 Aluminum Timing Drive Pulley For DIY 3D Printer This pulley is for 2mm pitch 6mm width GT2 timing belt. The motor is not included. This pulley is for 2mm pitch 6mm width GT2 timing belt. The motor is not included.